Public transportation has never looked as cool as this tram by Vince Toulouse, who has put a ton of design consideration into this multi-story vehicle. 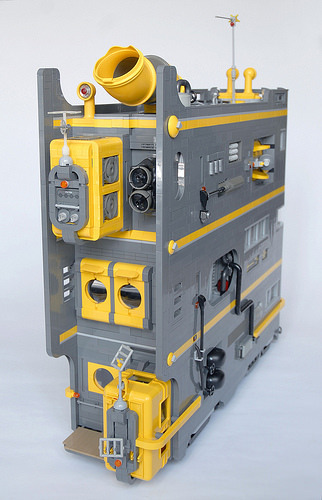 There are some very cool details built using a number of distinct LEGO System, DUPLO, and Fabuland components in yellow. 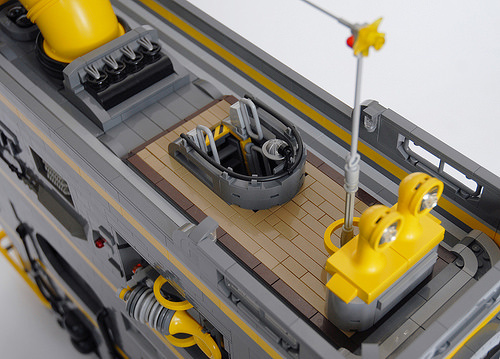 Besides the clean lines, and mechanical elements that look both fun and very purposeful, the dark gray and yellow color scheme works really well with those brown and dark tan tiles, in my opinion. 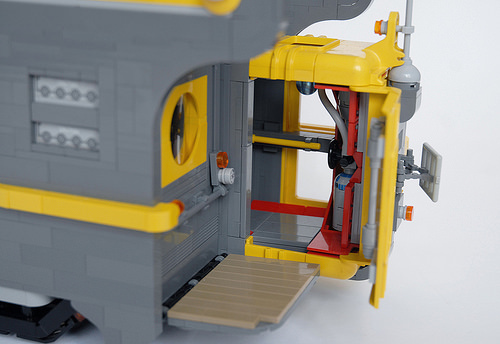 One of my favorite features is the Fabuland caravan component used here as a working door. With all of the great exterior details, this tram would fit right into any utopian or dystopian society. I only wish there were interior pics as well. I love that as soon as I saw the first pic I knew it was by Vincent. He’s the only builder whose style I can always recognize instantly. Not my favorite build of his, but it’s still phenomenal. I love this! 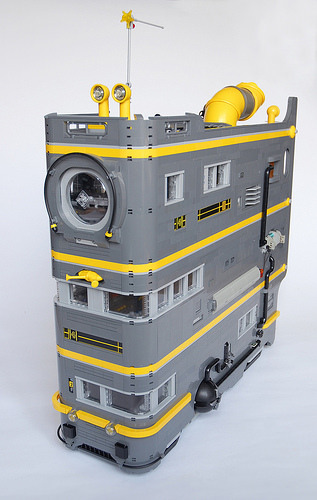 It looks like it should have a Minion at the helm.